Veteran Radio Ceylon and BBC broadcaster, Vernon Corea (who was placed in the top 5 greatest broadcasters of the world by 'The Hindu' alongside his friend Ameen Sayani of 'Binaca Geet Mala' fame) was born on the island of Ceylon on September 11th 1927 in a village called Kurana near Katunayake (now famous for its international airport.) Vernon's father Rev. Ivan Corea was a curate at St.Philip's Church in Kurana. Vernon and his brother Ernest were born in Kurana. That very year in November, Gandhi arrived in Ceylon on his first and last visit to the island. Gandhi travelled from India to Ceylon arriving in Colombo, the capital city on November 12, 1927. He accompanied by his wife Kasturba, C. Rajagopalachari, and the latter's daughter, Lakshmi. Also accompanying Mahatma Gandhi on his visit to Ceylon were his secretaries, Mahadev Desai and Pyarelal. 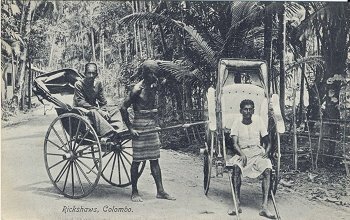 Gandhi stayed in Ceylon for three weeks.He visited the length and breadth of the island and even stayed in ‘Sigiriya’ in Chilaw with Vernon’s relatives. C.E.Corea and Victor Corea were the fearless freedom fighters from Chilaw. C.E.Corea was President of the Ceylon National Congress for the term - 1924-1925. 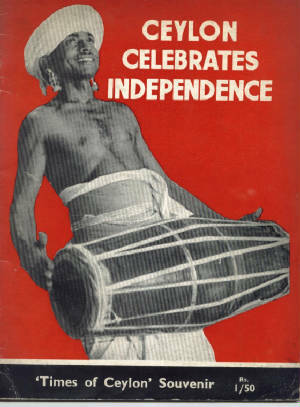 The cry for freedom and independence grew stronger in the 1930s and the Ceylon National Congress were calling for responsible government for the people of Ceylon, others followed the Gandhian ideal of 'swaraj,' advocating more forceful expressions of opposition to British rule. D.B.Jayatilake, D.S.Senanayake, Ponnambalam Arunachalem, Ponnambalam Ramanathan, A.E.Goonesingha, C.E.Corea, Victor Corea, E.W.Perera, and the 'younger generation' of Ceylonese politicians -G.G.Ponnambalam, S.W.R.D.Bandaranaike, Dudley Senanayake, J.R.Jayewardene were among those who were deeply involved in the political struggle at the time. The introduction of universal suffrage in 1931 with the general elections on the island in 1931 led to the formation of the first State Council in Ceylon from 1931-1935 - the new State Council of Ceylon had fifty seats. Vernon was 5 years old when the first State Council was formed and Sir Francis Molamure was selected as the first Speaker. The Ministers in the first State Council were - Sir Don Baron Jayatilaka - Minister of Home Affairs, Don Stephen Senanayake - Minister of Agriculture and Lands, Tikri Banda Panaboke - Minister of Health, Charles Batuwantudawe - Minister of Local Administration, Sir Haji Mohamed Macan Markar - Minister of Communications and Works, C W Kannangara - Minister of Education, and Perannan Sundaram - Minister of Labor, Industry and Commerce. 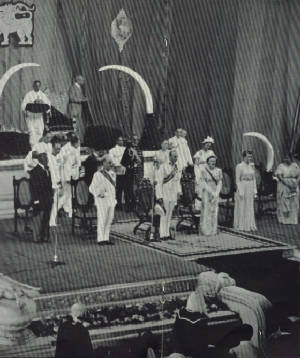 King George V (1910-36) of England sent a message to the people of Ceylon - the King's message was read to the council at the opening ceremony on 10th July 1931. "On the occasion of the opening of the State Council, I desire to convey to my people in Ceylon through their elected representatives,an assurance of the interest with which I shall watch the inauguration of the Constitution which on the recommendations of the Special Commission over which Lord Donoughmore presided, it has been my pleasure to grant them." "The constitution, which accorded to the island a large measure of self-government, embodies many novel features, for which there is no exact parallel in any dominion. I am confident that the people of the island will approach their new duties with a full sense of grave responsibility which is being laid upon them, so that the establishment of the constitution may conduce to the best interests of the island and of my people." who occupied the premises in the Fort now owned by the C.W.E. Cretonne Rs. 1 a yard. Curtain muslin Rs. 1.25 a yard. Casement Rs. 1.35, Turkish towels Rs. 1. Motorists were regarded as a 'menace' in Ceylon in 1923. The Sunday Times cartoonist suggested 'wings' for pedestrians in Ceylon. 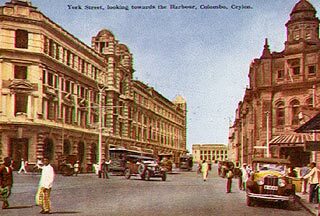 The Europeans and the Ceylonese elite and the Grand Oriental Hotel(Taprobane) in Colombo regularly held fancy dress balls in 1923. 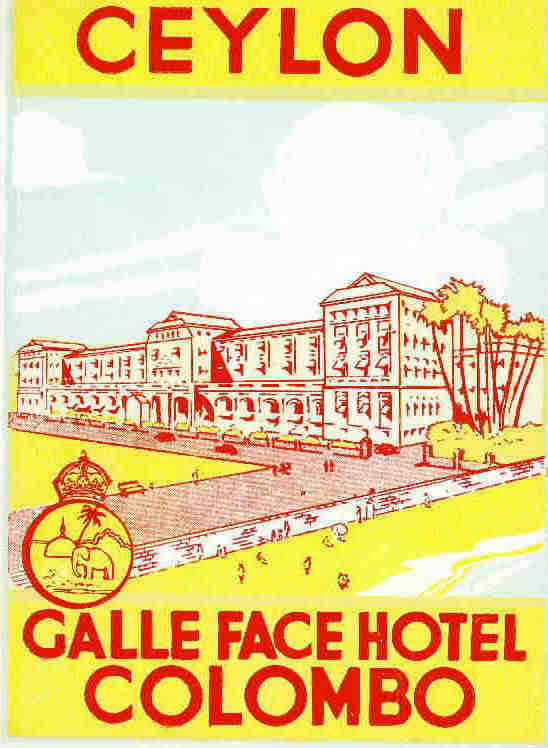 Vernon's world was a far cry from the grand balls at the Galle Face Hotel and the Grand Oriental Hotel. Vernon was 15 years old when the Japanese bombed Colombo and other parts of Ceylon on Easter Sunday 5th April 1942. Vernon's Father Rev.Ivan Corea was Vicar of St.Luke's Church, Borella. The Easter Sunday Service was in progress and Vernon used to hark back to that day when 180 Japanese aircraft from five aircaft carriers attacked Ceylon. 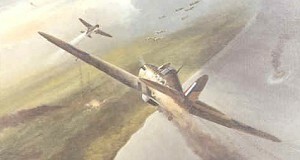 Vernon recalled the dog fights between the Japanese zero aircraft and the Royal Air Force over St.Luke's Church.Vernon's father, Canon Ivan Corea was preaching in St.Luke's Church, Borella at the time and the parishoners could hear the Spitfires and Hurricanes doing battle with the Japanese Zero aircraft above in the skies as the RAF fought off a forerunner to a possible invasion of Ceylon. According to Vernon the Japanese even bombed the Mental Hospital in Colombo. 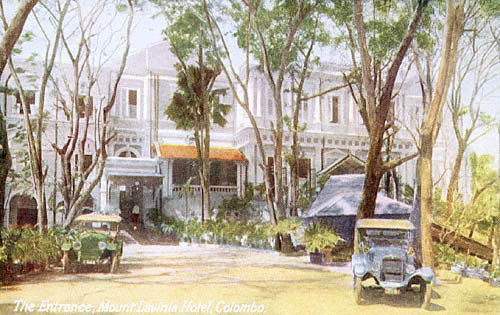 'The first air raid on Colombo took place on Easter Sunday (April 5, 1942) at 7.30 a.m., when Japanese aircraft flew in close formation over Colombo and dropped bombs at different places. The air battle lasted for nearly half an hour. The Allied forces, warned of the danger, were able to shoot down some of the enemy aircraft which fell on land and sea. 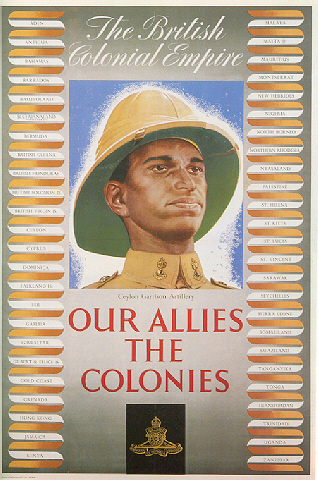 Many Ceylonese died for King and Country - they gave their lives in the cause of freedom in Asia and in Europe. 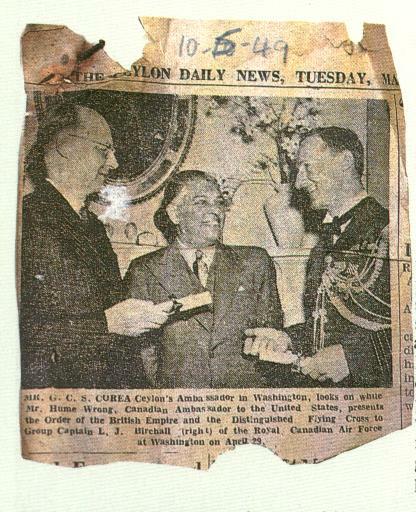 Some relatives of the Corea family served with the Army in Europe and saw action in World War II. The whole campaign for Independence was put on hold during World War II. The war became very real to the people of Ceylon when the Japanese bombed the island. Vernon and his family turned into the BBC and Radio SEAC at the Vicarage at St.Luke's Church in Borella to listen to the news during the War. 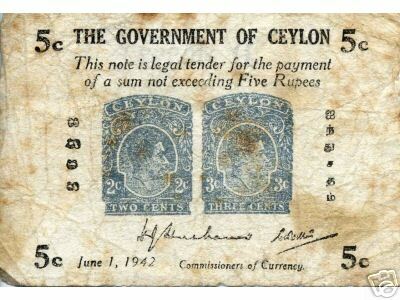 The call for 'self-government' peaked after the war, the Ceylon National Congress resumed their agitation - Ceylon was given her independence on 4th February 1948. A new era had dawned - the Ceylonese were ecstatic. The Portugese, the Dutch, the British had all colonised this beautiful island - now they were free, at last. 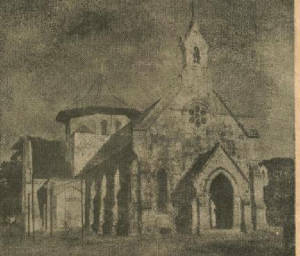 It was the talk of the verandahs of Colombo including the Vicarage at St.Luke's Church and in the towns and villages - there was great rejoicing in the island, Vernon's relatives had campaigned so hard for self-rule - now the reality dawned on them. Vernon was 21 years old in September 1948, he had moved from childhood to manhood that very year. It was a collective sense of growing up. The island's first ever Prime Minister was D.S.Senanayake. There was a Corea in the first cabinet with G.C.S.Corea appointed Minister of Labour. The celebrated Sri Lankan author, Yasmin Gooneratne writing in the Daily News in Colombo, observed that: ' Independence in 1948 had brought with it a new confidence in the present and future of the country, creating an euphoria in many cultivated minds that inspired a creative impulse in every area of the performing arts. Individuals who had hitherto "followed their bliss" in comparative isolation, came together in various different organizations and groups, believing that what they had to contribute to the arts was of value to the nation. In the area of the English theatre alone, the 1950s saw Prof. Lyn Ludowyk combining his devotion to English-language literature and to European drama to involve his youthful students (among them Iranganie Meedeniya and Jeanne Pinto) in plays by Shakespeare, Brecht, Ibsen, Pirandello, Karel Capek, Gorky, Show and others that were presented at King George's Hall in Colombo. Vernon Corea decided in the 1950s to follow in the footsteps of his father and join the priesthood. It certainly please his parents, Ivan and Ouida Corea - Vernon left Colombo on Air Ceylon to attend Bishop's Theological College in Calcutta. 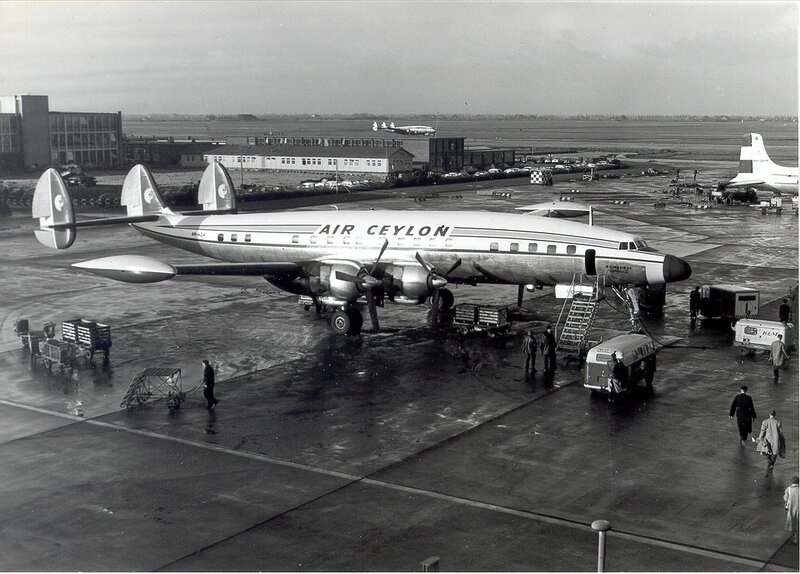 Vernon travelled from Ratmalana Airport on the outskirts of Colombo.This airport was at one time Ceylon's main terminal with the Dakota DC-4 planes and the Lockheed 749 Constellation airacraft of Air Ceylon flying in to land at Ratmalana. The first plane landed at Ratmalana was on 27th November 1935, a de Havilland Puss Moth flown by Tyndalle Bisco, Chief flying instructor of Madras Flying Club.This airport was at one time Ceylon's main terminal with the Dakota DC-4 planes and the Lockheed 749 Constellation airacraft of Air Ceylon flying in to land at Ratmalana. 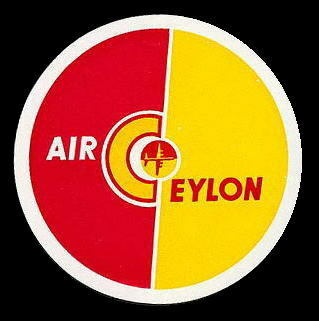 Vernon travelled on Air Ceylon - the airline inaugurated services in 1947 and was first called Ceylon Airways. He returned to Ceylon on the death of his mother - he decided not to pursue ordination. Vernon Corea then met his future wife Monica who was a teacher at Uva College in Badulla - in the hill country of Ceylon. Monica attended St.Mark's Church in Badulla town. Vernon went as Chaplain to the school and assisted Rev.Felix Dias-Abeyseinghe the Vicar. They married in 1954. After the death of their first born Harishchandra, the couple moved to Colombo. Vernon worked briefly at Car Mart in Colombo. Then came 1956 and he was encouraged to apply to Radio Ceylon and train as a Relief Announcer. This was a life changing moment for Vernon Corea. As soon as he entered the impressive foyer of Radio Ceylon - he knew that this was the place for him. Nimal Mendis had released his hits, 'Kandyan Express,' 'Cherry Blosson Tree ' and 'Oh My Lover' in Colombo. 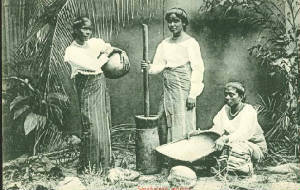 English pop songs written and recorded in Colombo by talented Ceylonese musicians were something new to 1950s Ceylon. 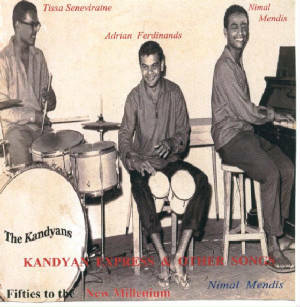 Harold Seneviratne, Adrian Ferdinands, Cliff Foenander, Des Kelly and Bill Forbes were very popular in Colombo in the world of entertainment in the late 1950s and 1960s. Tony Fernando had opened 'Tony's Record Bar' near Bambalapitiya junction and people flocked to buy records and radios. 'Tony's Record Bar' was the 'in' place to be and budding artistes were to be seen chatting away with the charismatic Tony Fernando who also managed the leading band, The Jetliners. Life was simple in 1960s Ceylon. Radio ruled the airwaves - Radio Ceylon was King - the announcers enjoyed pop star status in South Asia. Families went to a local Chinese restaurant to enjoy a meal together at places the Chinese Lotus Hotel in Kollupitiya, Hotel Nippon and Chinese Dragon Cafe. Families enjoyed traditional Sri Lankan biriyani at Hotel Buhari - a basic restaurant but the food was tasty. Adults went to the Coconut Grove night club at Galle Face Hotel to enjoy the mesmerising sounds of young teenage Mignonne and the Jetliners singing 'My Boy Lolipop' and other hits.Mignonne Fernando went on to enjoy iconic status in the world of popular music in Sri Lanka. Vernon Corea had also introduced the Jetliners on the stage at the Coconut Grove night club at Galle Face Hotel. The other places of entertainment were Hotel Taprobane and Mount Lavinia Hotel. Ceylonese also flocked to the shows organised by entertainment tycoon, Donovan Andree and his son Malcolm Andree. Nimal Mendis and others also performed at the night club Pigalle in Bambalapitiya, the present day Creme House and performed to the wee hours of the morning. They were paid Rs.15 on a Saturday for entertaining customers from 7 pm to 7 am in the early 1950s. Cliff Foenander was a close friend of Vernon's. When Foenander was starting out as an entertainer in Ceylon, Vernon Corea helped make him a household name in South Asia by playing his records. Young people of the 1960s grew up to the songs of the sixties like Cliff Foenander's 'A Little Bit of Soap.' Foenander found fame and fortune abroad working in the USA for 20 years - Cliff Foenander worked in Las Vegas in the 1960s and 1970s alongside Frank Sinatra, Louis Armstrong, Sammy Davis Jnr, Sarah Vaughn and Ella Fitzgerald. He settled in Melbourne, Australia where he passed away. 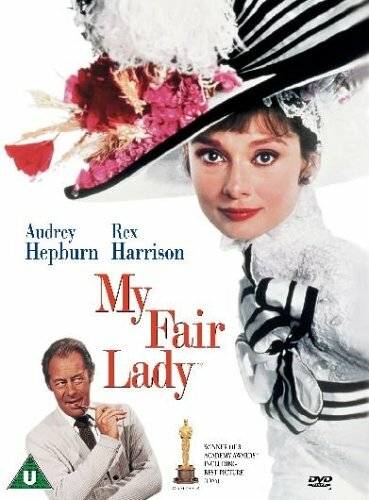 Families went to see 'Hatari' (1962), 'My Fair Lady' (1964), 'Mary Poppins' (1964), 'The Sound of Music' (1965), at the Majestic, Savoy, Liberty, Regal and other local cinemas. It was a cinematic experience, sometimes massive queues formed on the roads nearby. Ceylonese children loved the films so much that some went to see 'The Sound of Music' in Colombo - not once but seven or eight times. 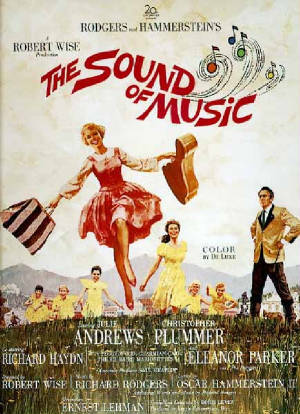 In 2005 the 'Sound of Music' celebrated 40 years of popularity. 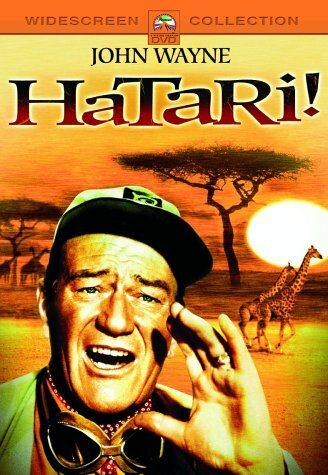 A hot favorite on Radio Ceylon was 'Baby Elephant Walk' from Hatari and the radio station also played all the favourites from the 'Sound of Music' and 'My Fair Lady.' They were probarbly the most favourite films of the decade in 1960s Ceylon. People went to Perera & Sons in Colpetty to enjoy a piece of love cake, bacon and egg rolls, 'mas paang' and iced coffee and go in next door to the Mangarams shop to buy food, sweets and books. Perera & Sons have been in business in Sri Lanka for over 100 years as bakers on the island. In the 1960s and 1970s Perera & Sons employed people on bicycles who went all over Colombo selling their rolls. The sound of the bicycle bell brought people onto the little lanes as the 'Perera & Sons' man made his way on his bicycle. 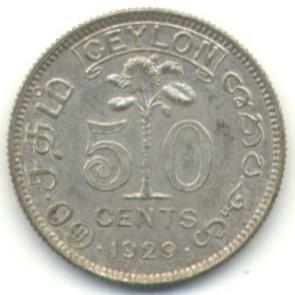 1970s Ceylon was very austere. In 1970, according to the World Bank, 48 out of every 1,000 infants in Ceylon died at birth. There were food shortages and people were urged to grow more food. 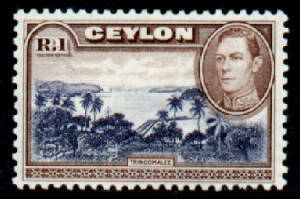 Ceylon became a Republic in 1972 and went through a name change going back to the ancient name - Sri Lanka. There was also an uprising on the 5th of April 1971 the People's Liberation Front - the Janatha Vimukthi Peramuna staged an uprising - on this day Vernon was attending a prize giving at St.Thomas' Prep School in Colpetty. Also staying with his family was the BBC TV News Editor Michael Broadbent who suddenly found himself converying news to the BBC. Vernon had to rush back to the SLBC. The uprising was quelled by the Army. Cricket caused great excitement in Ceylon. All the greats have been to Ceylon and played cricket here including the legend W.G.Grace. The 1960s saw some dashing Ceylonese cricketers gracing the scene including Anura Tennakon and Michael Tissera. Colombo went into a frenzy during the Royal Thomian 'Battle of the Blues' cricket match - the oldest unbroken cricket match in the world - the first encounter was in 1879 between arch rivals S.Thomas' College Mount Lavinia and Royal College Colombo. 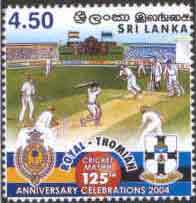 This cricket match observed the 'Thunderer' the London Times caused even greater interest and excitement than even a test match played in Colombo. Vernon being a Royalist got well behind the celebrations. Vernon used to drive a fiat - the Royal College flag took centre place at the front of the car. There were divided loyalties in the Corea household as one of his sons went to S.Thomas' College Mount Lavina and the other went to Royal so both College flags were fixed onto the side windows - it was the same scenario at Maha Nuge Gardens. There were many changes at the Sri Lanka Broadcasting Corporation. The Sri Lanka Broadcasting Corporation was 'born' on January 5th 1967 when Radio Ceylon became a public corporation. The Prime Minister of Ceylon at the time, Dudley Senanayake, ceremonially opened the newly established Sri Lanka Broadcasting Corporaton in 1967 along with the Minister of Broadcasting Ranasinghe Premadasa and the Director-General of the CBC, Neville Jayaweera. By the 1970s Vernon had moved up the management ladder at the SLBC rising to Business Manager of the Corporation - he brought in millions of rupees in terms of revenue. In 1974 he was appointed Director News under the Director-General Ridgeway Tillekeratne. Vernon Corea left the Sri Lanka Broadcasting Corporation to join Radio Worldwide - the radio arm of WEC in June 1975 and the family moved to London. 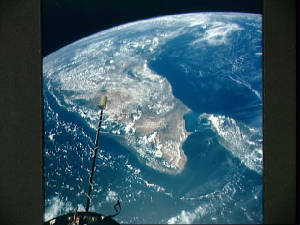 Visit Sri Lanka - Vernon Corea's birthplace. 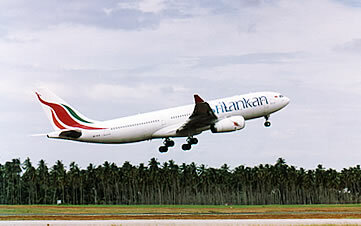 For further information please access the websites below including the Sri Lanka Tourist Board and SriLankan Airlines.